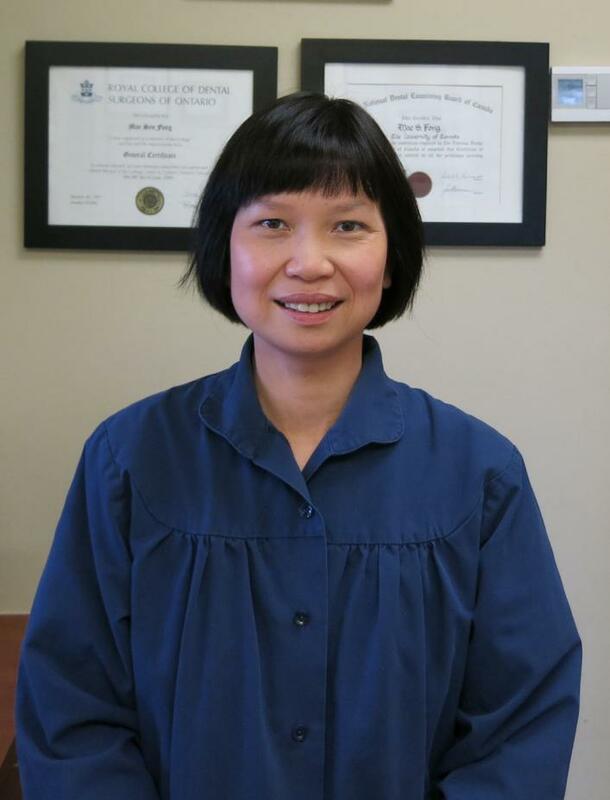 Dr. Mae Fong has been providing dental services for families in the Pickering community since 1995, after receiving her Doctor of Dental Surgery degree at the University of Toronto. She has advanced training in aesthetics, restorative dentistry and endodontics. Dr. Mae Fong keeps up to date on continuing education classes. She is a long-standing member of the Canadian and Ontario Dental Associations. Her attention to detail is her strong point, enabling her to deliver gorgeous smiles that fit the individual personalities of her patients. Family time is most important to her, and she loves hiking, skating and travelling with them. Call (905) 420-4808 today to schedule an appointment with Dr. Fong or Request an Appointment online.